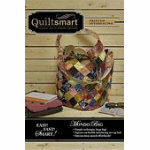 Home > Patterns > Mondo Bag by Quiltsmart - Large Bag - Just Add Fabric! Mondo Bag by Quiltsmart - Large Bag - Just Add Fabric! 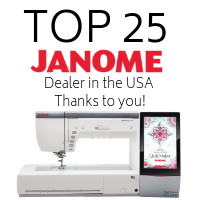 Contains instructions to create interfacing panels to make perfectly matched seams. Easy construction create this roomy and comfortable bag. Bag bottom is about 10" square with 15" tall sides.